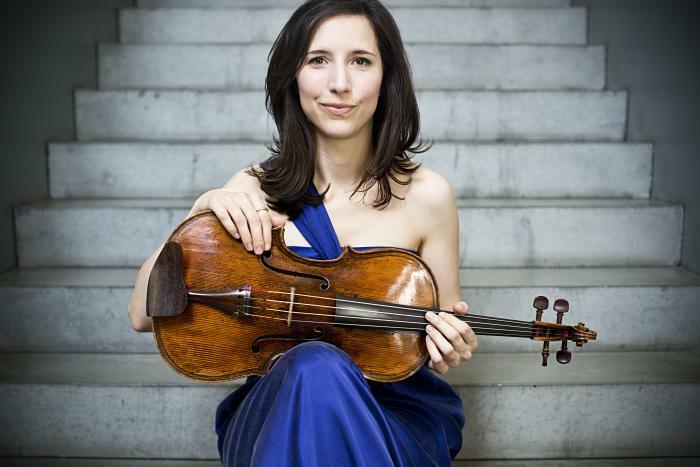 The German violist Barbara Buntrock studied with Barbara Westphal, and continued her studies with Heidi Castleman at Juilliard, Lars Anders Tomter and Tabea Zimmermann in Berlin. She received honours at e.g. the 2012 Tokyo International Viola Competition (2nd prize), ARD Munich, the Concours de Genève, and the German Music Competition. She currently holds a teaching post at the Lübeck Conservatory, and performs regularly as a freelance violist and with her Mariani Piano Quartet. Buntrock recently visited The Netherlands to coach a chamber music course at Gunst, Wat’n Kunst in The Hague, where she generously found time for a chat with the local DVS representatives. DVS: What happened on the day when you switched to viola? My father, who Is a violin-maker, always used to tell me, “You should also play the viola, it’s good for your flexibility and for your sound”. For a long time I didn’t want to try it, however. But then, one day, I did – and I loved the C-string sound. It was such an amazing sensation. And my mother was a cellist, so I grew up with string instruments of a deeper “sound”. DVS: Did your father build an instrument for you? Yes – he first made me a quarter violin. He used a special technique to put drawings on the instrument, scratching the shape and then putting ebony wood dust in it, making the shape black. My instruments would have several shapes of cats on them, because I love cats. And maybe this did increase my motivation to play, in the early years. Later, he also built several violas for me, named “Barbara 1”, “Barbara 2” and so on, in different sizes. So I could start with a small viola and move on as I gradually adapted to new dimensions. But two of those violas were so big, I never got around to using them – the biggest one ended up with a colleague of mine in the Gewandhaus orchestra (Leipzig). DVS: Does your father still build instruments? He still runs his shop in Wuppertal. It was a difficult moment when I ended up not playing one of his instruments. I was looking for a different sound. DVS: Your current viola is quite a special one? I was really lucky to find it, it was built by Antonio Mariani in Pesaro, around 1650. It belonged to an amateur, but Lionel Tertis used to borrow this instrument from time to time for special concerts or recordings. I have letters in which Tertis asks to borrow the viola, or simply thanking for the loan. I bought all the Tertis recordings I could find, trying to listen for this viola, but it’s very difficult to recognise it with the old recording sound quality. So I can’t tell for sure whether he actually used it for a recording. DVS: Was there a specific quality about this instrument that he particularly needed for certain purposes, or was it just his favourite instrument? I don’t know. In 1920, he bought another Italian instrument (his famous 1717 Montagnana), and the letters are all from before that, while he was still searching around. 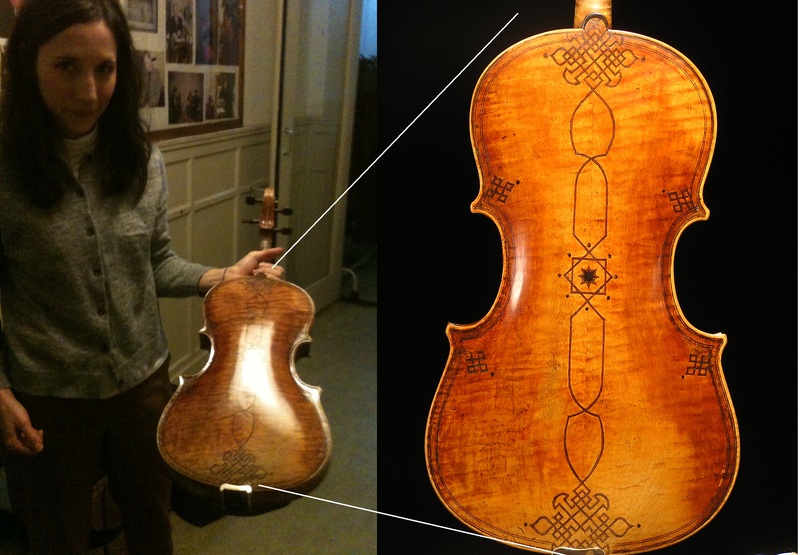 My viola has beautiful inlays in the back, and they reveal that the body was at some point cut down from a larger size, the inlays don’t exactly fit to the new shape on the edges. DVS: If asked to play just one piece that would explain why you love the viola, what might it be? I think something English. Bowen, Bridge, these composers who wrote for Tertis. I feel they really captured the sound and the character of the instrument. Maybe it had to do with his (Tertis’) playing. DVS: You left your safe orchestra (principal violist) job in Leipzig to focus on chamber music; how did this open new doors for you? Well, I already knew the freelancing life that I have now, before I took the orchestra job. I always wanted to play in an orchestra at some point, for the experience; you never know if it’s the right thing for you, until you’ve tried it. And also for my teaching, I need to know what the students have to prepare for. I learnt a lot in those two years. Musically it was amazing to play with Riccardo Chailly. I also liked the musical variety: The Gewandhaus orchestra plays symphonic repertoire, but also opera and church music. The orchestra counts about 180 musicians, so they can do two things at the same time. DVS: What did you like most – symphonic, opera or church music? Maybe I even enjoyed most the opera playing. It’s less predictable, less perfect. You cannot always plan everything that happens. For the orchestra players it’s more challenging because you have to follow the singers, strange things can happen and you have to jump and improvise more. In a concert hall, everything is in principle perfectly rehearsed, and there are less ‘surprises’. DVS: There seems to be a strong viola culture in Germany, compared to other countries. Would you agree, and if so, how would you explain this? Oooh, I never thought about that! It is probably related to role models like Tabea Zimmermann, who made PR for the viola. And we are lucky to still have a strong, living classical music tradition. DVS: Would you say that the viola is growing in popularity today? In the classical music, yes for sure! There’s a fresh view on the viola in the string world. We have more viola concertos for example. And to me, the most interesting part is that the viola sound is very personal, very different. And luckily in music recording, there’s a trend away from the ideal of “perfection”, where every little scratch is edited out. Instead, the trend seems to be moving towards more characterful interpretations, accepting risks. People want to hear something more special, more personal. This trend is an advantage for us (violists), because the greater range and variety of viola sound offers violists more room to develop a personal and unique sound in a recording. I’ve had a recording engineer ask, “are you sure you want to leave this in? it’s not perfectly in tune…”. DVS: Maybe that’s a bit German, the “Tonmeister” thing? Well, you can use intonation to a certain degree, to change the mood. And It’s not always the same, not always “in tune”. I like to use this in my playing. As long as it’s on purpose, of course (laughs). DVS: You also play in a piano quartet, how did you meet your colleagues? We played together for the first time at a small festival, at Lake Constance. The pianist put us together, I had known him for a long time. We found that we matched really well, and we decided to enter the German Music Competition together, to have a goal to work towards. Through this competition we were selected for a scholarship with a nationwide promotion system, where you get to play lots of concerts. We played about 35 concerts that season, it really helped us to grow together . DVS: The name of the ensemble matches the name of your viola (Mariani)? DVS: Are there any special projects in the near term that you are particularly looking forward to? In March I will be on the jury for the German Music Competition (Deutscher Musikwettbewerb, DMW), which is quite an honour. I will be on the sectional jury for violin and viola, and later on there is a plenary to determine an overall winner among all instrument categories. Next to the DMW, the German Music Council organises a degree programme for young conductors. For this year’s exam they have to conduct a viola concerto, either the Schwanendreher (Hindemith) or the Bartok concerto. And I have been selected to play, which means rehearsing and performing six times with different conductors. It will be interesting to see how phrases work musically in each case, to really get to know these pieces. That’s very different from a normal solo engagement, where you have perhaps one rehearsal with the orchestra, fixing only the things that didn’t go well, and that’s it. DVS: We wish you all the best with these projects, and thank-you so much for your time! This entry was posted in Artikelen, Interviews and tagged barbara buntrock, berlin, bratsche, interviews, leipzig, mariani, pesaro, viola, wuppertal by Kristofer G. Skaug. Bookmark the permalink.